Hi, I am Dr. Kai Herman, a Naturopathic Doctor, in Portland, Oregon. I help people with a variety of symptoms and health goals develop strategies to feel better and maintain long-standing well-being. Eating an abundance of healthy foods and limiting exposure to harmful substances comprise the foundation of any health strategy, independent of individual circumstance. A large part of my work with patients is education regarding what they should be putting in and on their body and what should be avoided all together. Unfortunately, a common issue that arises for many people is the high cost of “natural” and “health” products, which greatly limits what they are able to afford. As part of the troubleshooting process with my patients, I have spent quite a bit of time researching where they can find good quality, health-supporting products at a reasonable price. For this reason, I was thrilled to learn of Grocery Outlet’s latest program, NOSH—a new initiative to increase natural, high quality, and health-based items in their stores. Many of the products I have been recommending for years can be found at most Grocery Outlet stores. Grocery Outlet is now the best first stop on your shopping expeditions for both new and seasoned health-seeking shoppers. 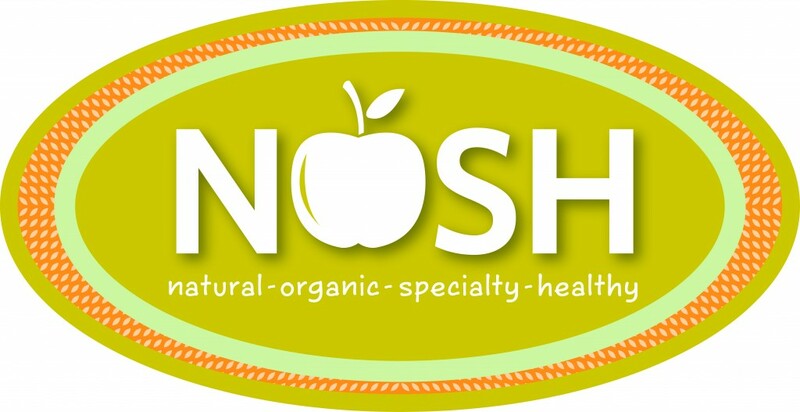 In an effort to expand awareness of this wonderful resource, I will be writing a series of blog posts to inform bargain shoppers about the many health benefits of consuming NOSH designated products. For my first post, I wanted to help introduce the NOSH program. I was thrilled to have these products clearly labeled to expedite my shopping experience. To be labeled as NOSH, the product must fulfill at least one of the following criteria. Natural products are comprised mostly, if not completely, of ingredients that are derived from the earth, often plant-based, and with very few chemical additives or preservatives. Natural foods are highly concentrated with beneficial nutrients, such as vitamins, minerals, and antioxidants, all of which our bodies require to function. Thus, eating natural gives our bodies the best fuel for optimal functioning, staying healthy, and fighting off disease and infections. There are an array of natural products at GO, including whole food items like fruits, vegetables, whole grains and beans; snack items such as trail mix, kale chips, seed crackers, and seaweed; and personal care items such as Tom’s of Maine toothpaste, Kiss my Face deodorant, and Andalou Naturals facial moisturizer (just to name a few!) Food isn’t the only thing that impacts our health. Anything we put on our skin gets into our body, and using products with a lot of chemicals can negatively impact our health in many ways. Seeking out natural skincare and personal hygiene products helps reduce exposure to the harmful chemicals in our environment which cause illness. Another essential way to reduce exposure to harmful chemicals is to eat “organic” foods and use “organic” products. When an item is labeled “organic,” it implies the absence of health-hazardous chemicals like synthetic pesticides and fertilizers. These chemicals (generally referred to as “toxins”) get into our body when we eat or use non-organic products. Toxins damage our tissues and organs, create stress within our body, and fast-track the disease and aging process. At GO, many fruits, vegetables, meat and packaged foods are organic, as well as natural, making them the best option for healthy eating. Also, many of the natural health and beauty products also meet the “organic” criteria, an ideal combination. Specialty items at Grocery Outlet are unique, high-quality products, typically found at gourmet or artisan markets and at a premium cost. Specialty items have better quality ingredients and higher manufacturing standards. Higher quality typically equates to greater nutritional value with less unwanted chemicals. Specialty items may also be products associated with health trends. In many cases, “trendy” foods have true health benefits which are just now being discovered by mainstream culture. Many of these foods have been used historically by other cultures, in which the health benefits have been well-understood for centuries. An example of a specialty item at Grocery Outlet is organic coconut oil. With an abundance of healthy fats, eating coconut oil helps support brain function, hormone balance, and skin health. 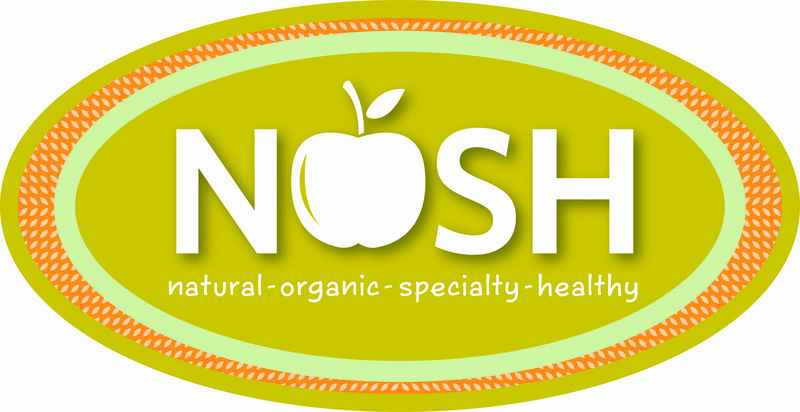 The healthy component of NOSH refers to foods which support a specific health-promoting diet, such as gluten or dairy-free diets. An example of this may be organic quinoa, a naturally gluten-free grain, or almond milk, a dairy-free and nutritious alternative to milk. For most people, eating a whole, natural, and organic food diet, is adequate for achieving and maintaining health. But for others with more specific health problems, a customized diet, such as gluten-free, may be a necessary change to overcome illness and re-discover health. Prior to eliminating otherwise healthy foods from one’s diet, I recommend seeking out advice from a nutritionally-oriented physician to determine the most beneficial dietary path. Dr. Kai Herman is a Naturopathic physician with a private practice in Portland, Oregon. She has a background in fitness, nutrition, and counseling. If you would like to learn more about Dr. Herman and naturopathic medicine, please visit her website at http://www.collectivehealthnaturalmedicine.com.